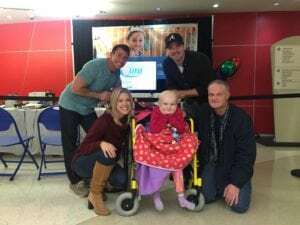 Cumulus teams from Q100, Kicks 101.5, Rock 100.5 and News 106.7 set new records this year raising $261,000 during their 12-hour radiothon live from Children’s at Scottish Rite Hospital on Thursday, November 30. Teams welcomed over 24 brave patient families and Children’s clinical leaders as they shared their heartfelt stories of hope and healing. Children’s at Egleston’s Seacrest Studios Atlanta even joined the fun by hosting a live interview during the studio’s live hospital show which enabled kids across Children’s to hear the radiothon through the hospital’s radio broadcast. 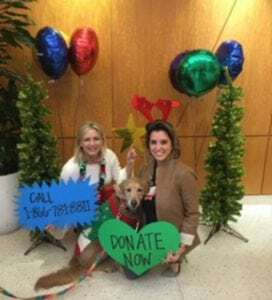 Even the beloved therapy dogs showed their radiothon support by posing for a few holiday pictures, along with patients and staff, at a special radiothon dog photo booth. 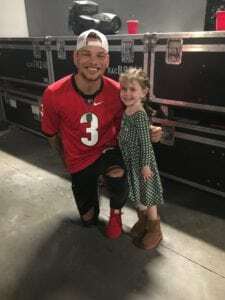 Cumulus extended this year’s radiothon excitement through the weekend with a sold-out Kane Brown benefit concert adding to radiothon funds. The Kicks 101.5 team hosted cardiac warrior, Sydney Lubin, to the stage for a special sing-a-long with local artist Kyle Clark, followed by a radiothon check presentation where the team surprised the audience with the $261,000 total. Thank you Cumulus Media for being true Miracle Makers this holiday season!